Welcome to Dean Garage Doors, the longest established supplier and installer of garage doors in the area. Based in the Forest of Dean we also cover the rest of Gloucestershire, Herefordshire and Monmouthshire too. To repair, replace, service and/or automate domestic garage doors for homeowners, builders & developers, private landlords & letting agents. Using 30 years of industry experience listening to customers, finding solutions to improve the style, operation, safety and security of domestic garage doors. We are a family run business with a proud and sought after reputation in the local area, having supplied, fitted, repaired and serviced garage doors for more than two decades. We are now providing help and advice to the next generation of some of our customers who we have fitted or repaired doors for over the last 25 years! 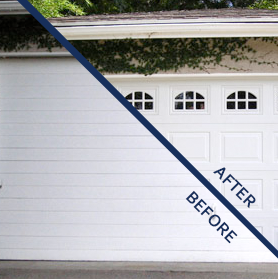 So, when dealing with Dean Garage Doors, you can be sure you are in safe and experienced hands.